When I used a form of SCD for my gastrointestinal issues (not inflammatory bowel disease), I ran into a few issues and the diet stalled for me, even regressed. I don’t give up easily when I think there’s a way to accomplish something, and so I played around with the diet and I read what other people trying the diet were saying. I’ve compiled a little list of things to try if SCD is not working for you. Remember, nothing here on my site is medical advice and should always be investigated and explored. Talk with your doctor and maybe get a referral to a dietitian for help. This is the internet. Believe nothing. Question everything. Eliminate “pesky” foods that are allowed on the diet: nuts, peanut butter, eggs, dairy. Foods that we know cause life-threatening allergies can also cause other immune reactions in the body that aren’t nearly so serious. Even though they aren’t life threatening like true allergy, they still can cause bad, uncomfortable immune reactions, especially at the interface of the gut lining (but not limited to the gut lining). Common food allergens like nuts, peanuts, dairy, and eggs are notorious for more than just anaphylaxis and hives! If you read research studies, you’ll see them coming up again and again for things like migraines, eosinophilic esophagitis, and eczema! I feel like medical doctors only communicate the life-threatening aspect of these foods (which is super important, of course), and ignore their involvement in so many other disease states. So people walk around treating their problems with creams, puffers, and pills, when they could be investigating their diet. The Specific Carbohydrate Diet allows eggs, almonds, nuts, peanut butter, homemade yogurt, cheeses and butter. 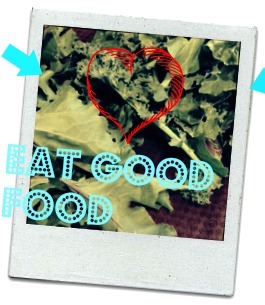 All good foods! But also all known top allergens that can perpetuate illness in susceptible people. How do you know which “pesky” to take out? Well, you can start with the one you have a sneaky suspicion about. Or you can see if your doctor will order you an IgG blood panel (which has such variable results for people), although you need to know up front that many conventional medical doctors disapprove of them. Or you can eliminate them all, and slowly bring them back in one at a time. Whatever you do, be smart and make sure you’re getting any nutritional deficits accounted for! Cut down on baked goods. When people switch to the SCD, they often, understandably, try to recreate the diet they had been eating: muffins, breads, pancakes, and cookies. ALL of these things can be made on the SCD and are super tasty! However, the ingredients for them come from the “pesky” category (almond flour, eggs, butter, and so on), so they really shouldn’t be routine food fare. They also come with a big whop of sugar; yes, I know it’s honey, but fructose in excess has its own negative effects. Baked goods are great as a transition to ease families into eating more real, wholesome foods. If my kids hadn’t had a baked good, I would have had some runaways. In any area of the diet you may be lapsing and skimping in, get strict again. Get back to eating only the legal foods with “no exceptions.” It’s so easy to let products back into our kitchens. A little guar gum here. A little BHT there. Some maltodextrin there. Some modified food starch. And then you’ve walked down the slippery slope and fallen. Crash and burn for a few little ingredients that really weren’t even that important to you! Studies indicate that emulsifiers may cause problems for inflammatory bowel disease, so if you’re struggling, get the “small stuff” back out! Alternatively, perhaps the idea of “being strict” is sabotaging adhering to the diet well, and adding in a few select real, whole, foods, like rice and/or potato may be helpful in overall adherence to the diet. Elaine Gottschall, the author of the diet, did not intend for The Specific Carbohydrate Diet to be a forever diet. She advocated moving off the diet once symptoms were well-controlled. Read about FODMAP foods. Foods have natural sugars and molecules that we don’t absorb and that feed our gut bacteria. It’s actually a good thing. But sometimes, guts that are compromised need a break from these too, or else they’ll have painful bloating, gas, diarrhea, and/or constipation. FODMAP stands for fermentable oligosaccharides, disaccharides, monosaccharides, and polyols. FODMAP foods can cause pain outside of actual inflammatory disease and would be worth exploring. I have noticed that many people suggest cutting down on fruit if the SCD isn’t working well for you, and I can see where certain fruits will exacerbate a FODMAP condition. Here’s a good site with FODMAP information. Just click on the symbol, and it brings up a nice handout. Take away the power struggle. When it comes to kids, they MUST understand the diet and their bodies. Kids usually make good decisions when they’re given good information and see the impact of certain foods on their bodies. Make it a point to understand the diet and read the book, then paraphrase it and explain it to your child. Kids need empowered, not controlled. Sometimes our fears lead to a strong need to control, but kids will buck this. Well, at least mine do! The mind-body idea. We KNOW that there is a BIDIRECTIONAL process between the brain and the gut and conversely, the gut and the brain. It works from the bottom up. And the top down. If you’re ready to take it beyond diet and supplements, maybe it’s time to move inward. Google things like mindfulness and IBD. Or hypnotherapy and IBD. See what you think. This area has definitely piqued my interest. It takes me months and years to write, so you’ll definitely want to read in this area before I get any posts up on it! Well, that’s it for today. I’m sure there are other tweaks. I think the best tweak is to know you’re going to be okay. Know that nothing can get you, because you’re bigger inside than anything you can comprehend. If you’re on the religious side, know that you’re a spiritual being forever with a human body but fleetingly. Feel welcome to post any tweaks you’ve found beneficial. This entry was posted in GAPS, Health Issues, Nutritional Intervention, Paleo, SCD and tagged Crohn's, GAPS, getting worse on SCD or GAPS, IBD, inflammatory bowel disease, paleo, SCD, ulcerative colitis, what am I doing wrong on SCD or GAPS, why is GAPS not working, why is the SCD not working on January 29, 2017 by thehomeschoolingdoctor. When I used to work as a physician, I wondered what it’d be like to stay home with the kids full-time. Some moms would say, “I HAVE to work. My kids drive me crazy.” I always thought to myself that I’d still like to try it and see. Maybe crazy is a state of bliss that I’d like quite a lot. I did get to stay home, and to my chagrin, I did fall into crazy. Crazy nutrition. At first, I honestly did wonder if I had taken neurotic to its pinnacle, but I kept reading and reading. And over the short four years since I began having any interest in nutrition at all, other than having the best chocolate chip cookie recipe, there have been some major upheavals in medicine regarding nutrition, particularly regarding fat and cholesterol. But I know there will be more. One upheaval that intrigues me, because I swear real food is pixie dust, is doctors using a real food diet to throw inflammatory bowel disease into remission without medicine. At Seattle Children’s Hospital, researchers are reversing serious cases of ulcerative colitis and Crohn’s disease using the exact same voodoo, or pixie dust (if you prefer), diet that Elaine Gottschall, a stay-at-home mother of two, used in the 1950s to save her 8 year-old daughter’s life from near-terminal ulcerative colitis. The diet, called the Specific Carbohydrate Diet (SCD), was the last hope that Elaine had for possibly saving her child’s colon, maybe even the child’s life itself. Permanent poop collection bag? Death? How about we try this weird diet. The SCD is not a new diet. It has been around in some form since approximately the 1920s, when Sidney Valentine Haas, MD was using it on his celiac and severely afflicted gastrointestinal patients. At this time, there was no known celiac disease and gluten connection. Dr. Haas, using close observation skills and taking good patient histories (all things falling into disfavor in today’s medical climate), felt that starchy carbohydrates and table sugar were bad for his patients. So he developed a diet which removed starchy foods and sugar, making it inherently gluten-free and grain free. He found that his patients did fine with fruit, and he strongly encouraged bananas, and he even thought there was something special about the banana. His “banana” diet was pretty popular and was used to manage celiac disease until the gluten connection was verified. Then, Haas and banana diets fell into disfavor, ridicule even. However, Dr. Haas, a reportedly kindly man who lived into his 90s, never acquiesced that gluten elimination should be the sole treatment of celiac disease. He remained adamantly suspicious that most starchy carbohydrates were problematic and needed removed for a time (not a lifetime). He genuinely believed in his diet, and if you read closely, he is scorned for never succumbing completely to the hypotheses that gluten is the sole problem for celiac patients. This photo of Elaine Gottschall came from http://www.breakingtheviciouscycle.com, the official Breaking the Vicious Cycle and SCD website. The SCD would have probably stopped right there if it hadn’t been for Big Magic (you really should read the book by this title, very good). Elaine Gottschall (now deceased, 1921-2005) called herself an ordinary, happy, stay-at-home, 1950s’ mom. She had two young daughters. One of her daughters, Judy, began experiencing incapacitating gut issues and was diagnosed with ulcerative colitis at the tender age of four years old. Little Judy was so sick and malnourished by the time she was 8, she had stunted growth and even her neurological system was shutting down. Elaine and Herb were told their daughter had two options: colon removal or death. Elaine wouldn’t hear it and refused to take death or colectomy (colon removal) as an answer for her daughter if she could do anything about it. So she did what all desperate patients do (or parents of patients), she doctor shopped. After much doctor shopping and no hope in sight except surgery, an acquaintance of a friend pointed her to an outdated, nearly ancient physician. She finally landed in the arms (figuratively) of our now 92-year-old Dr. Sydney Valentine Haas. He started her daughter Judy on his version of what is now the Specific Carbohydrate Diet. Her daughter improved dramatically within days and even more in the months that followed, living a full life, even being able to eat a very diverse diet eventually. Dr. Haas died within two years of meeting the Gottschall family. Would his diet die with him? No. Elaine Gottschall made it her mission to understand that man’s diet, even going back to school and earning degrees in biology, nutritional biochemistry, and cellular biology. If this diet helped Judy live and get her life back, she wanted to know why and share it with the others who were sick. Many times she wanted to give up, but her husband was convicted that the world needed this information that would be lost without Dr. Haas, and he knew Elaine was just the woman to do it. Doctors refusing to treat patients if they tried this diet? A diet that has now entered the halls of medical research with initial success? Elaine’s diet brought success to many suffering patients, but the patients’ doctors wouldn’t have it. How could a simple diet help? How could a stay-at-home mom know what she’s talking about? Who was she to challenge medical management? Elaine, Herb, and Judy (their daughter), thank you. The SCD studies are small and sparse, but they’re pretty remarkable, especially in kids, whose healing capacities are always amazing. IF diet makes a difference, then I think Elaine Gottschall is right, the only way it’s going to get to medical doctors is if patients keep showing them. Dr. Suskind’s studies from Seattle are shedding some light, but they’re so small. With just a snap or a new successful medical discovery, his work will be trampled over forever, as Dr. Haas’s almost was. Did Dr. Haas have it ALL right? No. Did Elaine Gottschall? No. Does the doctor named Natasha Campbell-McBride (who has taken Elaine Gottschall’s work further in her clinical practice, renaming her diet GAPS)? No. Does Dr. Suskind, a researcher using SCD in his studies? No. But continuing to cut out colons and continuing to prescribe immunosuppressants without ever trying significant dietary modification such as the SCD is irresponsible and, to me, unethical. Medical doctors maliciously, scornfully, and condescendingly name-call and ridicule diet theories they don’t agree with like pompous elitists. And guess what! When we do that, nurses, dietitians, pharmacists, and the public follow along. Then, we end up in a big mess. Like Days of Our Lives. Please stop the division. You are never too small. You are never too insignificant. You are always enough. Your experience is for you. Your experience is for others. Live boldly with love and compassion. Even your cooking can change someone’s life. This entry was posted in GAPS, Gluten-Free, Nutritional Intervention, Paleo, Primal, SCD, Wellness, Whole30 and tagged a possible way to avoid surgery for IBD, and ulcerative colitis, banana diet, celiac, Crohn's, diet, Elaine Gottschall, inflammatory bowel disease, is SCD real, medical doctors and nutrition, nutrition, quack, Sidney Valentine Haas, what can I try for Crohn's, what can I try for ulcerative colitis, what should I eat on January 20, 2017 by thehomeschoolingdoctor. Imagine having diarrhea 15 times a day, every day. Add some blood to that. While you try to walk across a university campus. Or coach basketball. Or serve on a Navy ship in the middle of the vast ocean. Or learn to add, subtract, and multiply. This is life with Crohn’s disease or ulcerative colitis, collectively called inflammatory bowel disease (IBD). And when I was a medical student on general surgery, I swear it seems like we were digging around every day in some poor patient’s intestines due to his or her inflammatory bowel disease. Many emerged from surgery with bags to collect their liquid bowel movements. But fascinatingly, studies have shown for forty years now, plus or minus, that IBD can be controlled with nutrition! Well, more accurately put, researchers and patients controlled IBD with exclusive enteral nutrition. Exclusive enteral nutrition, EEN for short, is basically just a “nutrition” shake kind of like Ensure or PediaSure, only it tastes much worse. The ingredients in the shake have been pre-digested so they can be absorbed completely in the small intestine. Okay. All Mama’s good table food really threw a wrench in the great effects of the EEN shakes. What next? It’s 2017. Can we ditch the EEN altogether and just eat real food? Now, we have to cap it off. Could patients get off of the disgusting “shakes” altogether? (Good-bye, Nestle…) Well, the Journal of Clinical Gastroenterology is about to publish a study done by a Dr. Suskind (and his team, of course!) from Seattle Children’s Hospital. Ten pediatric patients followed a diet called the Specific Carbohydrate Diet for three months, and 80% of them had symptoms improve significantly and even resolve and lab markers normalize. Eighty-stinking-percent! Let me repeat: eighty percent success. WITH FOOD. Meh. Study needs to be bigger. Sigh. So do I. But it’s what we’ve got. And it’s so promising. I’m ebullient. Diet alone! Eighty percent remission! With real food. No diarrhea! No bleeding! No stomach cramps! Virtually 100% safe. No injections! No risk of white blood cell counts crashing. Why won’t people try this? Reminds me of a verse I learned from a big book, although I’ve adapted it. “The fiddle plays and you won’t dance. The singer wails a mournful tune, and you will not cry.” We are hard to please. Impossible nearly. What do we want? A magic bullet pill with no side effects? I must close now. But you will not want to miss my next post about the amazing stay-at-home mom who made it her life mission to show the world that inflammatory bowel disease can be controlled most of the times with real, whole food. And I’ll explain a little about the diet that saved her 8-year-old daughter’s life and which she spent her life studying and evangelizing. This entry was posted in Dairy-Free, GAPS, Gluten-Free, Health Issues, Nutritional Intervention, Paleo, SCD, Wellness, Whole30 and tagged Crohn's, does diet work, IBD, inflammatory bowel disease, Specific Carbohydrate Diet, ulcerative colitis, why does my doctor say diet doesn't help on January 13, 2017 by thehomeschoolingdoctor. Do you still think it’s spooky? Nah. Now I realize it’s just a traditional way to recoup the needed minerals, proteins, and vitamins that are stored in bone and the organs of animals. It’s basically just using the whole animal, as cultures historically did before us. I mean, it seems even a generation or two before us, kids were still forced to eat their liver. Not “their” liver, but the cow liver on their plate. They didn’t all run to the store to pop some vitamin D, folic acid, calcium, magnesium, and vitamin C pills. And ask the grandparents! You’ll find some of them who have an affinity for an organ they haven’t eaten in years! My dad loves liver. My father-in-law heart. I remember eating the tongue with my own farming grandparents when I was a kid. Each meat cut and organ has its own vitamin, mineral, and amino acid profile! So by only eating white meat or steak, we are completely missing the gamut of beneficial nutrients, due to our snobbery and “advancement.” It’s a sad misuse of an animal. I’m so sorry to be perturbing my vegetarian friends’ sensibilities. I know it sounds yucky. Well, it does sound a little gross, I have to say. Anyhow, I have read some bad things about the GAPS diet? Can you mention some of those concerns? Yes, well, there’s the concern of lead toxicity in the daily broth requirement. If the animal is raised on a bucolic, yet lead-laden farm, then the animal can have a higher concentration of lead in its bones, seeping into your broth. I’ve read you can’t really predict which land will be high in lead levels because the lead can permeate the air, travel, and settle in a different area, remaining for years and years. Remember, we used to use lead in gas for our cars. So I’m not sure you could predict without testing, which farms will have higher lead than others. But I’m no expert. So, sure, there may be an unpredictable risk of lead. Another concern is the effect of a sudden carbohydrate drop on the body. GAPS doesn’t have to be a low carb diet, but the introduction diet is way too easy to be almost no carbs at all! Most people just enter ketosis with uncomfortable symptoms, like headaches, fatigue, and a little nausea. Other people, and kids are pretty sensitive, react violently to the ketosis transition, with horrible nausea and persistent vomiting. This really puts them at risk for electrolyte disturbances, which could land them up in the hospital! Most likely, and I’m not a GAPS provider or expert and you shouldn’t use my blog for medical advice, this could be avoided by making sure to eat carrots, winter squashes, pumpkin, and honey in the recommended tea. I personally think a slower transition to a low carb diet is much safer. When I transitioned, when I felt that low-carb feeling, I eased it with some cooked carrots and honey in my tea. I’m a weenie. But a safe weenie. Food obsession is a definite concern too. The GAPS food list becomes a Bible. I remember my husband coming home when I was doing GAPS and showing me an article about orthorexia. This is an eating disorder where people obsess about eating healthy, judge themselves and others by how they eat, develop anxiety due to food choices, and basically, their whole life simply become wrapped up in food. I was glad he showed me this article. We talked about it together, decided no, that’s not where I was at, and then I proceeded with a new awareness of something that can easily afflict health-conscious people–myself included—if awareness is not high. Oh, uh, yummy…by the way, what do you eat on GAPS? Well, the book has a whole list of do’s and don’ts. But, basically you eat lots of vegetables, like broccoli, cauliflower, zucchini, carrots, squash. Meats, trying to incorporate grazing animals that roam pretty freely outside–and not just eating one cut of meat, but the whole animal, including organ meats. Eggs, seafood. Fruits. lentils and specific beans, soaked. Nuts. Honey. Peanuts are okay, too. And then daily consumption of fermented foods for probiotics and homemade broths (using leftover scraps and bones) for the minerals and amino acid profile. But what shocks most people is that there are no grains or potatoes allowed. Not even sweet potatoes. GAPS’ carb foods are things like carrots, squashes, lentils, honey, navy beans, fruits, peas. Did GAPS “cure” you? No. It did improve me, though to the point that my GI symptoms were very tolerable. It also showed me that the many headaches I was getting wasn’t just my kids. (Love you, girls!) Ha! I had some sensitivities to particular foods, like eggs, which give me headaches. But I had to carefully do and re-do the introduction, elimination type part of the diet to figure that all out. What do you mean? Sensitivities? Geesh! You had to take out MORE foods? Yes! A full GAPS diet would have been disastrous for me, but because I went through the introduction and followed the author’s suggestions on watching for food intolerances, I was able to identify problem foods I had: dairy, nuts, eggs, chicken, coconut. After 18 months on GAPS, those foods still bothered me (and still do). GAPS helped me but did not cure me. But the GAPS diet is laden with foods that will bother many autoimmune-ish people, like dairy, nuts, eggs, and legumes. All very “healthy” foods that I think should be in a person’s diet if they are tolerated. WAIT a minute. Are you kidding me? Some people have to take it further than GAPS or Paleo? Well, nobody has to do anything! Right!? It’s important to remember that! This is always a choice! But, yes. Some people will find much relief in taking their diets down to whole food and then further eliminating nightshades, legumes (beans and lentils), all nuts and seeds, all dairy, eggs, all grains (wheat, soy, corn, even rice and quinoa). Also, watching out for reactions that are very individual, like avocados or shellfish or coconut, etc. But remember, the goal is not to be a martyr or to be “cool,” the goal is to feel better, to feel like yourself. And your own diet tailoring will take you there, not somebody elses. Would the “you now” recommend the diet to the “you back then”? When I started this nutrition stuff, I needed an extremist to bring me to my eating knees. All my food came from a box. It all had dairy and wheat. And I didn’t really see anything wrong with that. Mostly, I’m not extremist in anything. I always thought that a really good diet (and life) allowed absolutely anything in moderation. But my gut and headaches didn’t agree, and food definitely played a role. I haven’t read a better book at explaining how to eat 100% unprocessed food than Dr. Natasha Campbell-McBride’s Gut and Psychology Syndrome (GAPS) book. I mean, she taught me that even tea bags were processed and that “whole food” tea would be the loose leaf tea, or even better, the mint you grow in your garden. However, the GAPS book is not really written in a scientific manner, it is more evangelical–and maybe even fanatical? It is written to drive things home and to allow for no exceptions. I needed Dr. Natasha Campbell-McBride’s unique, rigid approach. There’s no looking for GAPS-legal processed foods because honestly, none exist. (Heck, even nuts are supposed to be soaked!) If I had a loophole, I would have wriggled my logic right through it. Dr. Campbell-McBride’s GAPS diet book breaks things down in a simple, general way for pretty accurate reading–but could definitely be considered reductionisic or “fruity” by anyone with a medical or scientific background. I would recommend to myself back then that I not be afraid of any real, whole food, and that I introduce it slowly, seeing how I do. Not just follow the GAPS list of foods. Start with those, and then not be afraid to journey forward. Do you believe everything in the book? No. Not as stated. But yes, I do see now with my research that the gut and its bacteria play a huge role in the body’s pathology. I see where soaking nuts and beans helps. And where eating organ meats and bone broth supplies needed nutrients. I do not find her “allergy testing” on the skin to be useful or practical. It may even be dangerous. Someone with a severe food allergy may think, because their skin doesn’t have any changes after putting some of that food on their skin overnight, it’s okay to eat a known allergenic food. I’m still not a fan of raw milk. Sure, if it’s my cow, I wash the teats, and I milk the animal. Mostly, I know that one plan will NOT fit all. Ever. This entry was posted in GAPS, Nutritional Intervention, SCD and tagged does GAPS diet help, does GAPS help, drawbacks of GAPS diet, GAPS diet safe, GAPS diet's cons, pros of GAPS diet, quack diets, risks of GAPS diet, strange diets on December 12, 2016 by thehomeschoolingdoctor. Listen, you’ve heard the term hypoallergenic as it relates to your jewelry, your skin care products, and your laundry detergent, but have you ever thought about the food you eat? Have you ever thought about if what you eat is hypoallergenic? No, no. NOT sterile. Hypoallergenic doesn’t mean sterile! You don’t blink an eye when a friend says, “Oh, I can’t wear cheap earrings. My ears get sore.” You get that! We can all relate to people needing hypoallergenic jewelry or skin products. But have you ever thought about the food you eat and whether or not it’s hypoallergenic to your system? Yes, indeed! Just like these external substances can lead to immune reactions, so can the food you eat! However, the food you eat leads to a chain reaction of internal immune system activation that doesn’t just sit right there at the gastrointestinal (GI) tract. You have immune cells lining the intestines which sample the foods you eat and decide whether or not they like it. Whether you like the food doesn’t matter. Whether the food you eat is healthy or not doesn’t matter. If the immune cells sample it and don’t like it, they are going to send out signals (histamines, prostaglandins, interleukins, interferons, and other cytokine signals) in the blood stream which can affect any organ system in your body: you stomach, your brain, your skin, your reproductive system, your lungs, your connective tissue (joints, as an example), your thyroid. When I first started down this fascinating nutrition avenue a little over four years ago (from a classic diet of cereal for breakfast, a sandwich for lunch, and pizza or pasta for supper), one of the first things I learned about and tried was an “oligoantigenic diet.” I had read that some people with the same gastrointestinal malady that I suffered from had been treated in a medical research study with an oligoantigenic diet! What in tarnation is an oligoantigenic diet? I’d never heard of that! Basically, it is a strict, hypoallergenic diet that allows only foods which are accepted to be very mild on the body’s immune system. Once I figured out that I could think of an oligoantigenic diet as a type of “hypoallergenic” diet, I got it! Choose foods which cause the least known reactions! For those of you familiar with a strict elimination diet, you know what I’m talking about here too. An oligoantigenic diet (or hypoallergenic diet) is NOT meant to be a long-term diet. A person starts with a small group of 3-5 foods and builds from there, learning to observe signs and symptoms that tell him or her that a particular food category raises immune reactions (by observing for headaches, GI changes, spikes in fatigue, skin rashes, and other clues). Never once going through pharmacy school, medical school, residency, and hundreds of hours of continuing education did I ever hear about a hypoallergenic, oligoantigenic diet or even an anti-inflammatory diet. (I was served plenty of donuts, bagels with cream cheese, and pizza, though.) It took me going after my own health to learn about nutrition. Since my oligoantigenic diet, I’ve done a lot more reading. What I’ve found is that the same foods that doctors KNOW are immune provoking because they cause true, life- threatening food allergies, are the same foods that can be removed to lighten the load of a body stressed by health problems. By removing known immune-provoking, inflammmatory-producing foods, the body gets a rest from the prostaglandins, histamine, interleukins, interferons, and other cytokines that it makes in response to something it thinks is harmful. Although any food can cause allergic and sensitivity issues, there are eight foods that are medically known to cause the majority of the reactions. Why? These foods have what I call “pesky proteins.” They have proteins in them that have very, very strong bonds, making them difficult for our digestive tracts to break down. The better food is broken down into its smallest parts in our intestinal tracts, the less inflammatory it is to us. These are the common drop-dead if you eat them allergenic foods. But I’m not talking about drop-dead allergies here. I’m talking about you and me and Mr. Smith walking around with headaches, bloating, fussy guts, allergies, asthma, psoriasis, eczema, depression, fatigue, puffy eyelids, puffy faces, coronary artery disease, increasing forgetfulness, dry and itchy eyes, chronic sinus problems, joint pain–do I HAVE to keep going? I sure can. Sometimes by simply eliminating the above food categories (with NO cheating), a person can gauge how much food is affecting their health. Since trying my three ingredient, hypoallergenic diet, I’ve discovered a whole world of anti-inflammatory type diets, which aren’t as strict as an oligoantigenic (hypoallergenic) diet. I find it fascinating that these diets often eliminate the Pesky Eight foods, capitalizing on what we know about the immune system and health! However, anti-inflammatory type diets incorporate and expand further on the idea of the immune system and inflammation in the role of health problems. Each named anti-inflammatory diet (sometimes called autoimmune diets) has its own unique quirks. In general, though, these diets do three things. Eliminate processed foods, refined foods, including sugars. Include abundant vegetables and fruits. Anti-inflammatory diets (autoimmune diets) seek to eliminate the most common food problem causers and also try to bring in food problem solvers. Diets in general can be overwhelming, and when they talk about restricting food groups, diets can be downright terror-provoking. As I’ve journeyed away from an oligoantigenic elimination diet, my own diet landed very similarly to many of these anti-inflammatory type diets. It wasn’t by choice and planning. That’s just how it fell. I can’t eat many of the Pesky Eight foods and feel good doing so. My body likes hypoallergenic food best. I hear a lot of people say that no good diet restricts food groups. I really, really understand what they’re saying. However, LOOK AT THE PESKY EIGHT! They are good, healthy foods!!!!! But if the GI tract immune system triggers a cascade that sets the rest of the body on edge, you’re not going to feel good. So please, when someone says they can’t eat dairy or wheat, give them a break. When they say they can’t eat eggs or beef, give them a nod. It’s just as frustrating for them as it is you. And if you have any nagging health problems, talk with your doctor about a dietary referral to see if an oligoantigenic food trial helps you gain control of any of your issues. Don’t use anything on my site as medical guidance or instruction. I hope it sparks curiosity to help you want to learn more. And, oh yes, I like to think that for most people, autoimmune type diets can be expanded with a whole health approach. This entry was posted in Dairy-Free, Food Allergies, GAPS, Gluten-Free, Health Issues, Nutritional Intervention, Paleo, Primal, SCD, Wellness, Whole30 and tagged anti-inflammatory diets, autoimmune diet, chronic health problems, Food, food sensitivities, hypoallergenic diet, I've tried everything and don't feel better, is eliminating food groups healthy, learning, learning patience with food intolerant people, low allergen diet, oligoantigenic diet, understanding, why would anyone eliminate a food group on October 7, 2016 by thehomeschoolingdoctor. It’s so easy to let jealousy torment you when your husband loses 30 pounds eating very low carb (while sneaking in Snicker bars)–and you only lose 5 and swear it makes you manic. Why does it work this way? It’s so easy to cry and wallow in yourself when you try everything for your multiple sclerosis (MS) and nothing seems to make it budge–well, not like it did for Terry Wahls, who changed her diet and lifestyle and went from a zero-gravity recline wheelchair to riding a bike. What does she have that you don’t? I could go on and on. He dropped gluten and his arthritis went away. She started coconut oil and frankincense for her dementia and now she recognizes her family again. He gave up dairy, started some aloe, and his constipation is gone for good. Going raw, vegan cured her chronic fatigue and fibromyalgia. Dropping all grains and all dairy and all sugar and starting physiologic folate helped his autism. Fish oil cured her depression. Can I stop? Do you get the idea? Is this you? Stop reading if you’re completely sold on a new diet or have just spent big money on a new supplement because I have some bad news. But I have some good news too! It MAY work! Today I want to help you understand maybe why you’re not getting better doing the good things you’re doing. Why each person’s health plan (diet, supplement, exercise, sleep, etc.) must be tailored individually. It sounds overwhelming to think you actually have to formulate your own health plan, that it’s not written out there for you in some book, but isn’t that really the journey of our whole life? Finding out what makes us tick? What brings us peace? Coming to terms with our limitations and expanding our strengths? Medical doctors group symptoms and tests together to arrive at a diagnosis. A label. A name. The name helps us to know what to expect for a patient’s outcome. What we’ve tried before that has helped or not helped. Dementia. Psoriasis. Ulcerative colitis. Multiple sclerosis. Migraines. Crohn’s Disease. These are labels. They are necessary labels! For example, we know that the group of people who have ulcerative colitis symptoms and tests will need monitored for colon cancer, and that many celiac patients can be symptom-free following gluten-free diets. Having a label helps! But there are tough cases. Cases which don’t fit, and sadly, they’re more common than medical doctors want to admit or even know about. These patients doctor shop, so often a doctor isn’t given the chance to even know that refractory cases are as rampant as they are. There are diagnoses that don’t have good treatments, like irritable bowel syndrome and fibromyalgia. These patients, these refractory cases, are like a nebulous cloud which floats around looking for answers. Why can’t they get their answers? You’d think as a medical doctor, I’d laugh my head off silly. Now, my friend is a little frustrated. She has had MS for years, and sometimes it’s better. Sometimes it’s worse. She has tried nearly everything. What I want you to think about for people–is the possibility that our labels group similar health cases together which may stem from different causes. And when that is the case, when the underlying cause of presentations which LOOK the same is NOT the same, a person can bang her head into a wall (this is one of my favorite images because I’m so prone to doing this if I’m not careful) wondering, “Why not me? Why can’t I? Why did it work for her?” Except in a highly motivated individual who says, “I’m moving on. I can do this. That failure taught me something,” this can be counterproductive and harmful. And now I get to the crux of my post. When I was in medical school, I learned about acute myelogenous leukemia (AML). I learned it as ONE disease entity. ONE (a bad disease entity at that). New research shows that this AML that I learned about as one disease, is actually 11 diseases, with 11 different causes–which show up looking the same! This helped explain why some people responded so well to treatment and some people tragically did not. We weren’t treating ONE disease, we were treating ELEVEN! I think that most of our clinically diagnosed diseases will ultimately be found to be caused and/or impacted in different ways. Until that day that you know exactly what the cause of your illness is–your obesity, your thyroid problem, your irritable bowel, your IBD, your arthritis, your insomnia, your depression, your constipation, your MS, and so on–until that day, you’re just going to have to take a flat-out comprehensive approach to have the best outcome. Should you eat low carb? Should you eat high fat? Should you supplement with CoQ? And so on and so forth. Whether you should or shouldn’t may depend on your genes, how they are expressed, your gut microorganisms (bacteria, fungi, viruses), and how your environment (sun, exercise, sleep, diet, daily doses of inadvertent toxins) interacts with those. There is no ONE diet. There is no ONE lifestyle. In fact, there’s probably no one dementia. No one MS. No one IBS. There may be 11. So find a platform which resonates with you. Try it. Be willing to modify it. Don’t abandon what works. Keep what works and build your plan. Don’t despair. Don’t give up. Start with absolutely real food if you have a problem you really need to tackle. And move forward, tweaking as your body tells you. This entry was posted in GAPS, Gluten-Free, Health Issues, Nutritional Intervention, Paleo, Primal, SCD, Whole30 and tagged can diet help me get better, one disease caused by many causes, why am I not responding to treatment, why diet isn't helping me on June 14, 2016 by thehomeschoolingdoctor. I have one more post on folate to share before I leave it behind. It is a recipe I use to help my family eat more greens, including the folate-powerhouse spinach. Eat more folate-rich foods, including greens. Some people–maybe you–can’t metabolize the form of folate called folic acid very well. Folic acid is what is added to most grain-based processed foods and used in most vitamins. These people do much better with folates found naturally in foods. Since they don’t metabolize folic acid very well, their bodies are basically functioning on a “folate deficiency” despite adequate intake of folic acid. I don’t know. Which reason do you want? Folate deficiency may play a role in depression? Bipolar disorder? Birth defects? Anemia? Atherosclerosis? Alzheimer’s? Chronic fatigue syndrome? Gout? Hearing loss? Blood clots? Although the research on folate’s connection to many of these conditions is not clear-cut, there are some suggestions. On something as simple as eating real, folate-rich food, I don’t see a need to wait around for the million dollar research study. When it comes to folate, spinach leads the pack. I use this simple dressing which the kids enjoy to deliver folate-rich greens, including spinach, to my family. 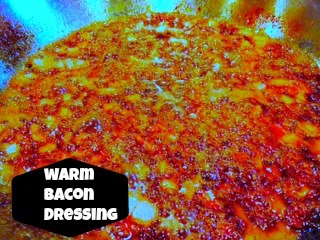 Heat bacon drippings in skillet over medium-high heat until melted and hot. Add onions and saute until golden brown. Add the maple syrup and whisk. Allow to thicken and bubble. Add apple cider vinegar and whisk again. Allow it to reduce and thicken a little. Salt and pepper to taste. Use the dressing to pour over fresh spinach, tossing to wilt. Use just enough to coat as desired. Alternatively, the greens may be added to the pan and cooked a little. Nutrient deficiencies abound. Not huge deficiencies that can be pointed at directly. But little micronutrient deficiencies. Feed yourself and your families fresh vegetables, fruits, and foods to overcome these deficits. You’ll feel the difference! It is important. I just wish I could emphasize this enough! Thank you to my lovely, young daughters for the graphics on this post. This entry was posted in GAPS, Gluten-Free, Nutritional Intervention, Paleo, Recipes, SCD and tagged how to get my family to eat more greens, warm bacon dressing on September 5, 2014 by thehomeschoolingdoctor.